My son made this miniature office set out of toothpick sticks, scrap cartons, papers and ribbons. I admire my boy’s creativity when he does cute stuff such as this one. I hope he gets to spend his extra time doing what he loves, so he’ll have less time thinking about silly things that annoy me and his older sister. Yesterday, I saw him sewing something for his toy; I guess given more time to practice sewing, he’ll be able to do even the intricate equestrian boots for his sister’s Barbie dolls. 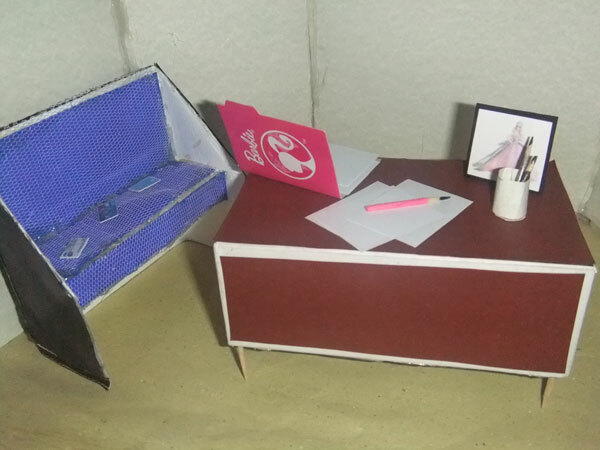 This entry was posted in Art Stuff and tagged miniature, miniature office set on January 31, 2012 by Yami. this is cute…your son is very talented.